“…A proposed Senate resolution, supported by the pro-Israel lobby, would shift America’s red line in dealing with Iran from preventing the Islamic Republic’s acquisition of nuclear weapons to stopping it before it achieves “nuclear capabilities.” Authors of the resolution believe that it is the only way to ensure that Iran ceases to be a threat to the region. The letter is backed by dovish Jewish groups Americans for Peace Now and J Street, which also worked to try and change the language of the Senate resolution introduced by senators Graham, Lieberman and Casey. “It has been a long time since we tried negotiating with Iran, and it will be foolish not to use this tool,” said Dylan Williams, director of government affairs at J Street. A British Lord has been forced to resign from her party after saying that Israel would not last forever if it continued to oppress the Palestinians. Jenny Tonge, a former MP for the Liberal Democrats, which is the junior partner in the British government, made the comments in a speech at a British university. Tonge’s comments were seized upon by the powerful right-wing British blog Guido Fawkes, which launched a campaign calling for her to be fired from the party. Liberal Democrat party leader Nick Clegg demanded she apologize but Tonge, a long-time supporter of Palestinian freedom, refused to do so and resigned instead. As a result, Tonge will remain a peer but will not sit with the Liberal Democrats in the House of Lords. Tonge was previously fired from her shadow Cabinet role in 2004 after claiming she could identify with Palestinian suicide bombers. “If I had to live in that situation – and I say that advisedly – I might just consider becoming one myself,” she said. 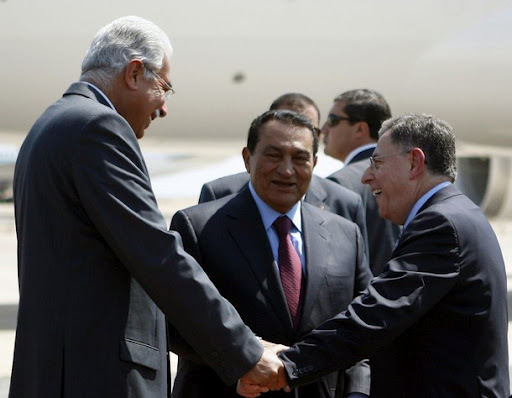 ‘Strategic’ Fuad Siniora: "Moscow & Beijing’s positions are influenced by domestic politics but they will change soon!" ‘Tearful’ Fuad predicted Assad’s downfall & triumph of March14 in Lebanon last …August! “… “The Syrian problem became a domestic issue in Russia. It is part of the election campaign … adding that Russia might be “ready to discuss business in a more pragmatic way” after the vote. Unlike Russia, which has a naval base on the Syrian coast and sells arms to Damascus, China has little commercial interest in shielding Assad from criticism, Siniora said. Siniora said China had balked at U.N. condemnation of Assad because of concerns over potential criticism of its own domestic record, including in Tibet. But in the long term he said it was not in Beijing’s interest to side with the Syrian leader. “It is not in the interests of the Iranian regime to continue hammering on having Lebanon and Syria as their client countries,” Siniora said. Filed under: China, Russia, War on Syria | Tagged: Siniora |	Comments Off on ‘Strategic’ Fuad Siniora: "Moscow & Beijing’s positions are influenced by domestic politics but they will change soon!" Though, German Presidency is ‘ceremonial’ – German Presidents are expected to have moral power – like the Israeli Presidents (just joking!). On February 15, German President Christian Wulff, 51, was forced to resign for being accused of corruption before becoming head of state in 2010 as Israel-Firster Chancellor Angela Markel’s choice. Wulff is accused of receiving financial and other (?) favors from his supporters while he was Governor of lower Saxony state. Chancellor Angela Markel was quick to appoint Joachim Gauck, 72, as interim President till new election in March. The selection of the new President will be made by 1,240 public figures including all MPs. If one study ‘morality’ of the great majority of the western political leaders from some objective source, he will find that Wulff did not commit moral wrong-doing. On Monday, German Opposition Die Linke (Left Party) nominated Beate Klarsfeld, 73, as its candidate for the Presidency. Beate Klarsfeld’s qualification is that she is a Jewish Nazi witch hunter who became famous for tracking down Nazi official Klaus Barbie in Bolivia where he was working for German intelligence BND and CIA with the help of Israeli Mossad. In 1983, Klaus was arrested and extradited to France where he died of leukemia in 1991 in a French jail serving a life sentence. She believes that denial of “The Six Million Died”, and criticism of Zionism or Israel is ‘anti-Semitism’. Former Jewish French foreign minister, Dr. Bernard Kouchner, while called Klaus Barbie mass-killer – went to Romania in his private jet in 2010 to plead for mercy for his fellow Zionist Jew, Roman Polanski, serving jail for sexually molesting a child. Earlier in 1996 Kouchner had slammed his friend, pastor Abbe Pierre, for endorsing French philosopher Roger Garaudy’s controversial book, ‘The Founding Myths of Israeli Politics‘. The author who later converted to Islam, was fined $40,000. France’s Chief Rabbi, Joseph Sitruk, was also irked by the book and said the Holocaust was a proven fact and not open to debate. The Left Party is known for its pro-Israel, anti-Muslim and anti-immigration campaigns. Last year, Left Party banned its MPs and employees from joining German flotilla to break Israel’s naval blockade of Gaza. The party also called for end to boycott of Israel and criticized groups and countries calling for “Israel to be wiped off map”. Even though, Beate Klarsfeld, who was convicted in 1969 for slapping then Chancellor Kurt Goerg Keisinger, has no chance to beat veteran anti-communist Joachim Gauck who is supported by Markel’s ruling party and two other opposition parties in the Bundestag (parliament) – the pro-Israel Jewish propagandists have started a smear campaign against pastor Joachim Gauck. Joachim Gauck has been blamed for his anti-Semitic views in the past. The allegations include Gauck’s backing of both ‘The Black Book of Communism‘ and the ‘Prague Declaration’ – and believing that Holocaust is being exploited by certain Jewish groups and Israel. “Gauck has spoken out against what he calls an over valuing – “Überhöhung” of the Holocaust – aggressively insisting that the worst genocide in human history has to be judged alongside the crimes of various communist regimes. Gauck argues that modernity has lost its religious, read: Christian foundation. Therefore non-believers, he says, acquire a “psychological benefit” from the Holocaust, because it provides something absolute and quasi-religious. This antisemitic trope – the Shoah as religion – is a favourite right wing tactic and features heavily in the writings of anti-Zionist activists like editor of The Black Book of Communism, the former Maoist Stéphane Courtois, who asserts that Israel benefits from the claim that the Holocaust was un unprecedented crime,” says Chris Hale, a German TV producer and a Zionist writer. Germany is home to Western Europe’s second largest Muslim population (4 million) after France (6-8 million).